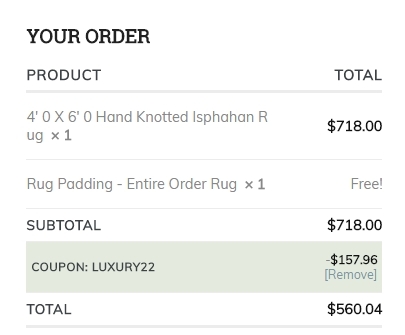 Reinaldo Betancor For redeeming this offer: Add items to your shopping cart and enter promo code Luxury22 at checkout to get the discount. Daniela Alejandra Sanchez Gutiérrez I am validating that this deal works as described. 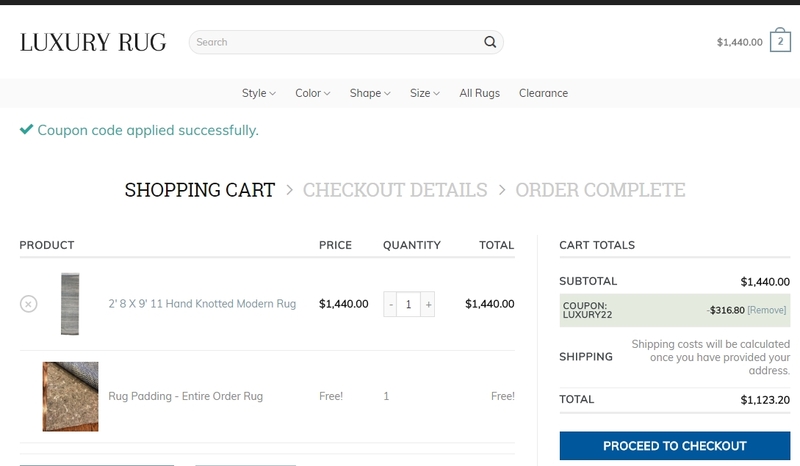 Enter code at checkout and get discount and free shipping. Submit your order. 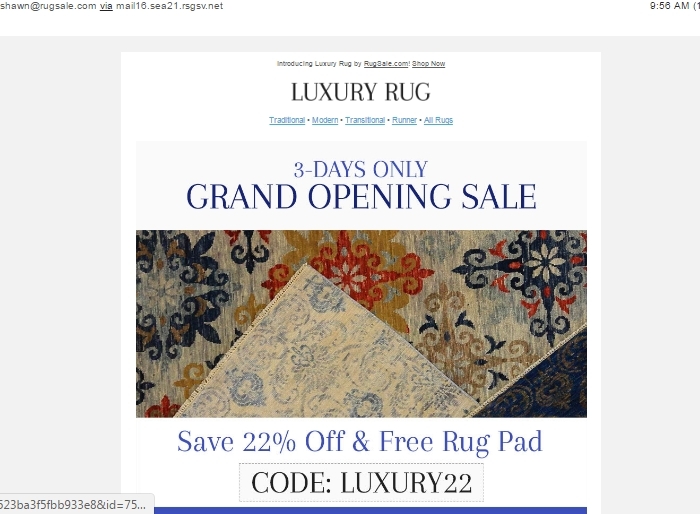 This is a limited time offer. 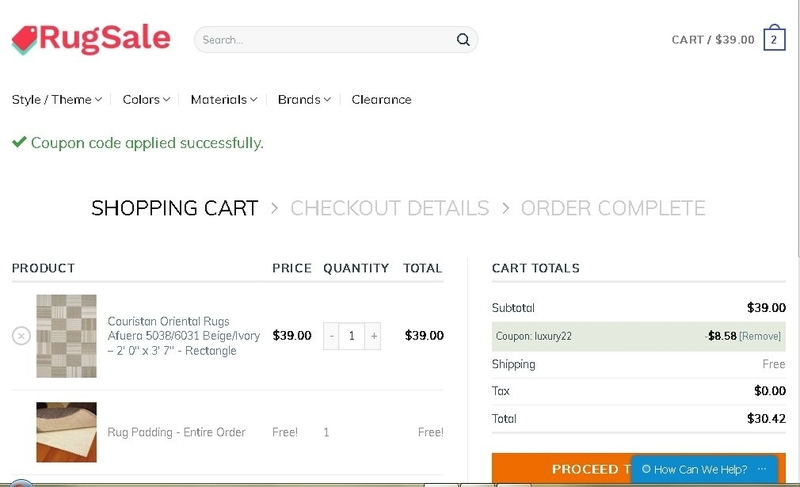 Thanks for visit this deal. Axcel Rojas I am validating that this deal works as described. 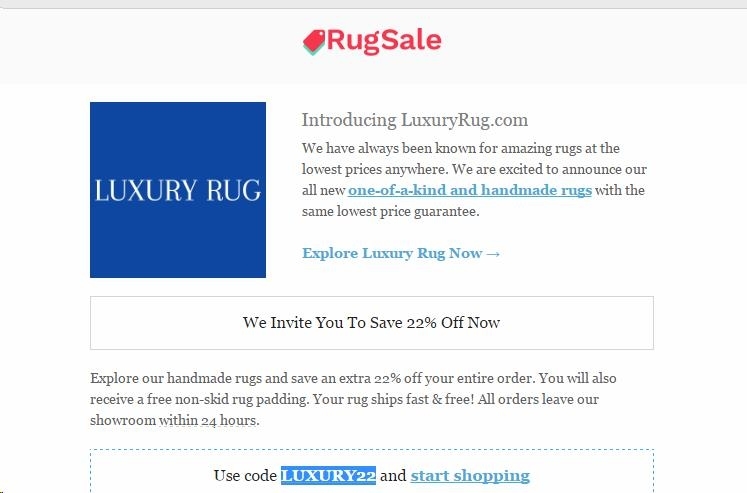 Excelent offer go to https://luxuryrug.com/, add your item to cart, proceed to checkout, enter promo code and earn 22% Off + Free Rug Pad on Orders of $100 or More at RugSale.